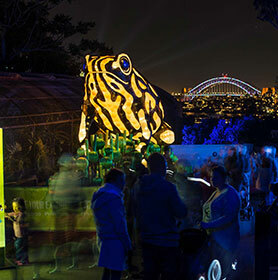 Designed and created by Ample Projects, the Taronga Zoo light walk for Vivid Sydney is a 1.6km sound and light experience. 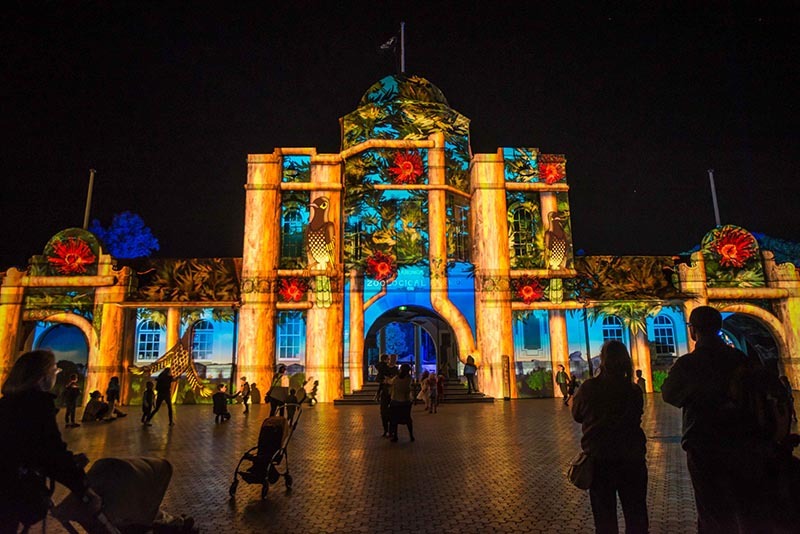 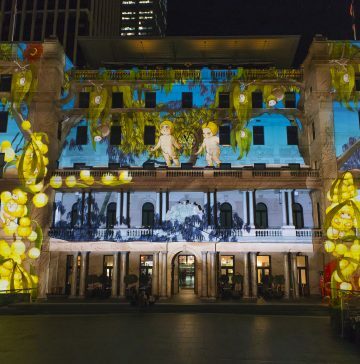 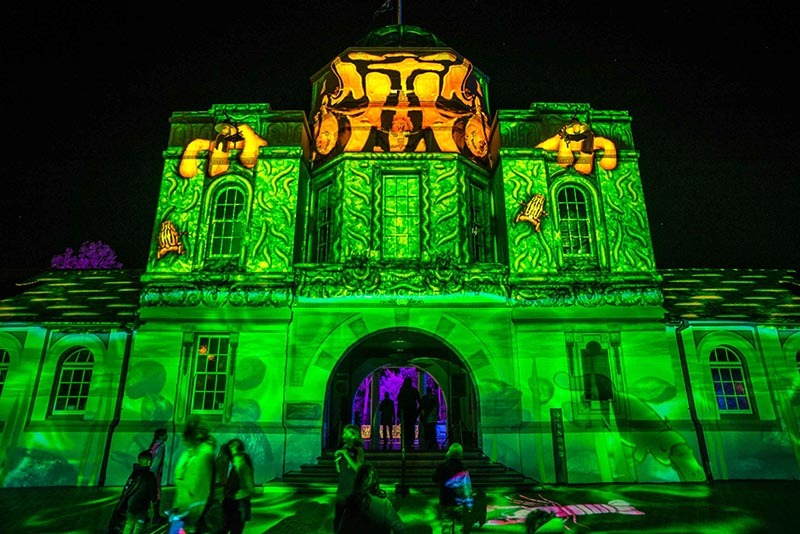 Visitors arrived at Taronga’s Heritage Entrance Facade, transformed using 3D projection mapping into a complex world of ecosystems and spectacular creatures. 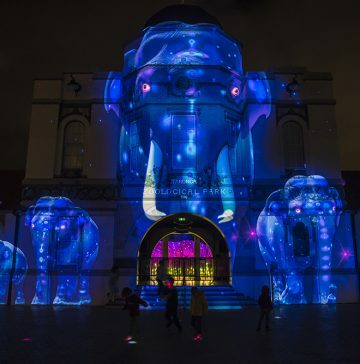 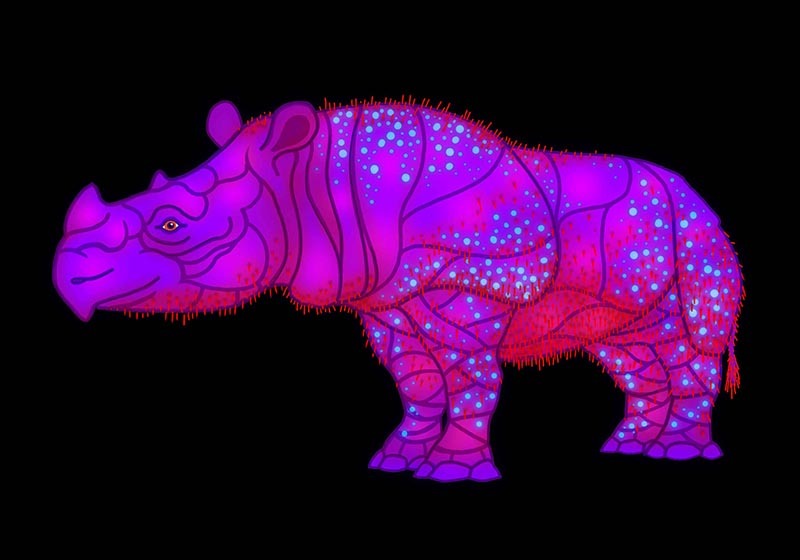 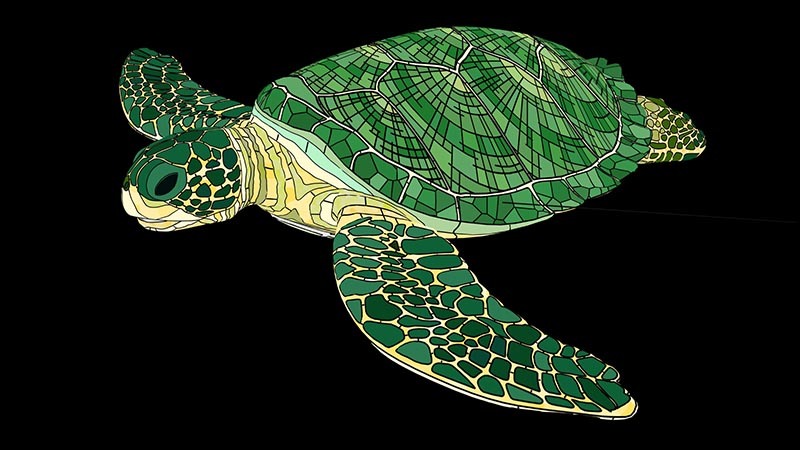 Designed for all ages, the immersive and fun projection show gently told the story of our planet’s vanishing habitats and the creatures that live within them. 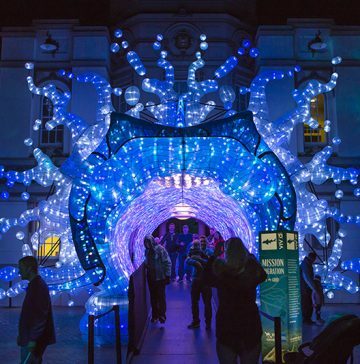 The second and principle experience began through the entrance archway, with over 60 realistic custom designed animal light sculptures, some with moving parts, representing the key endangered species, and some playful creatures in between designed to entertain and inspire. 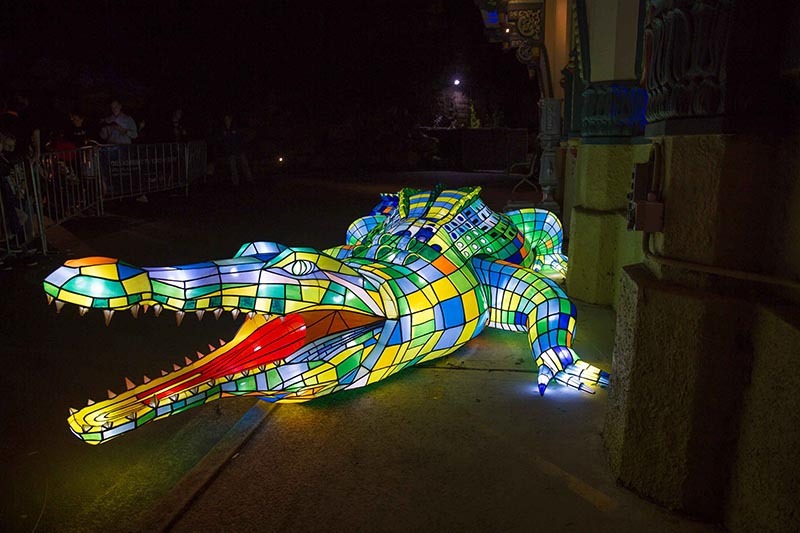 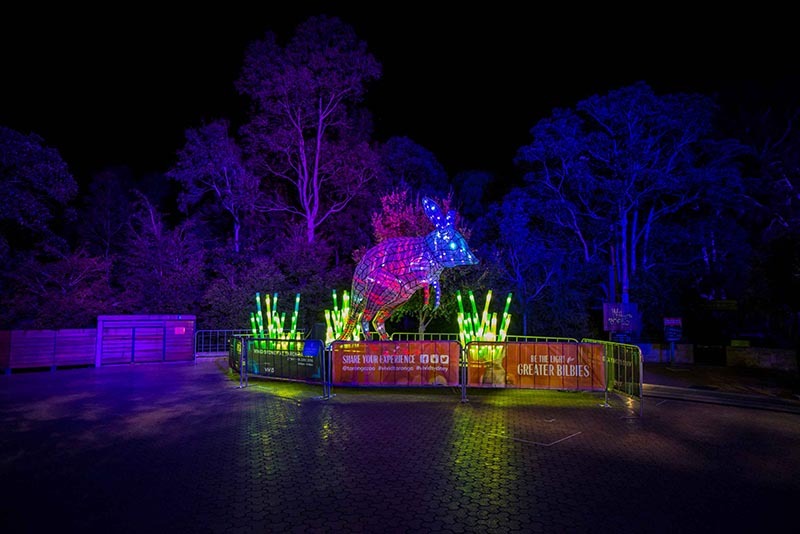 The design and artworks transformed the zoo into a magical nighttime adventure through the habitats of endangered species. 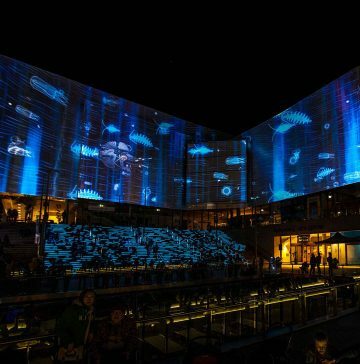 Our primary objective for the artwork was to present the 1.2km precinct as a uniquely seamless fully integrated experience. 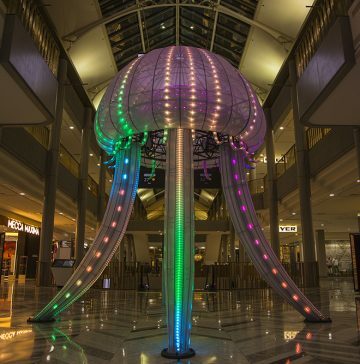 The key element for this approach was a new interpretation of traditional lantern design, lighting and manufacturing. 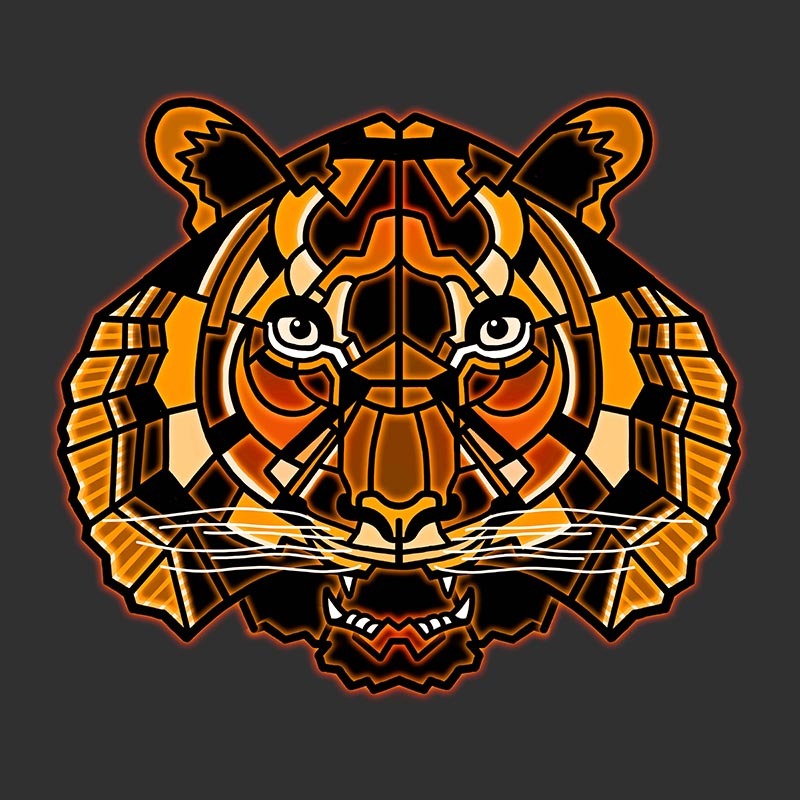 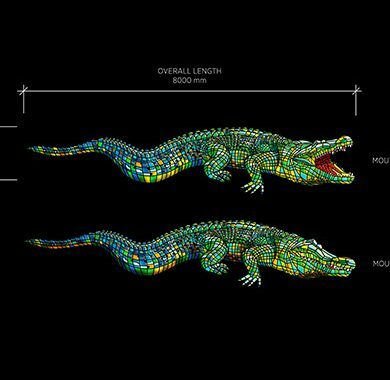 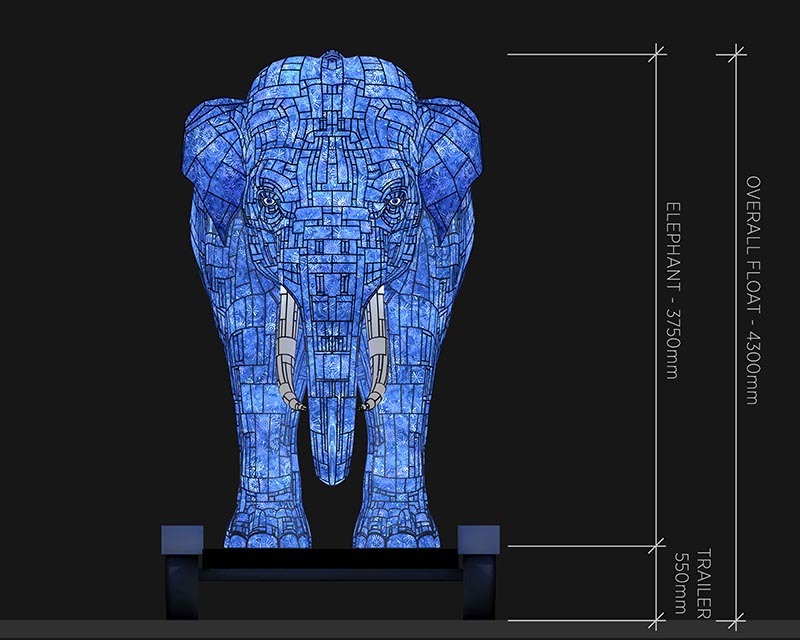 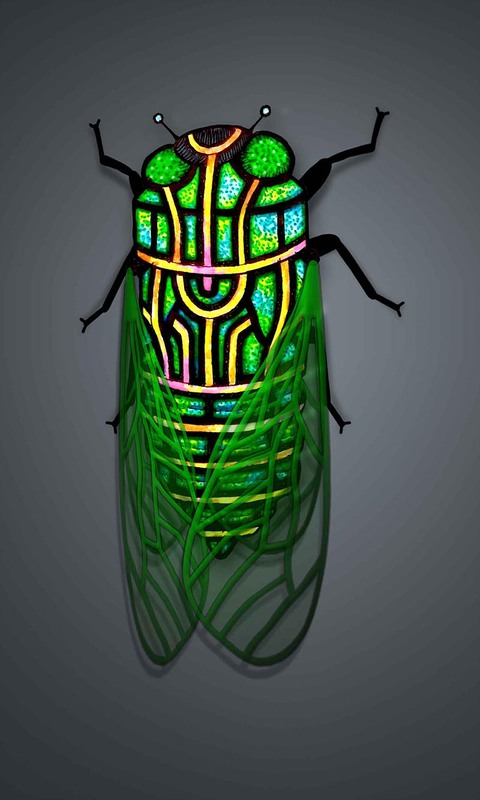 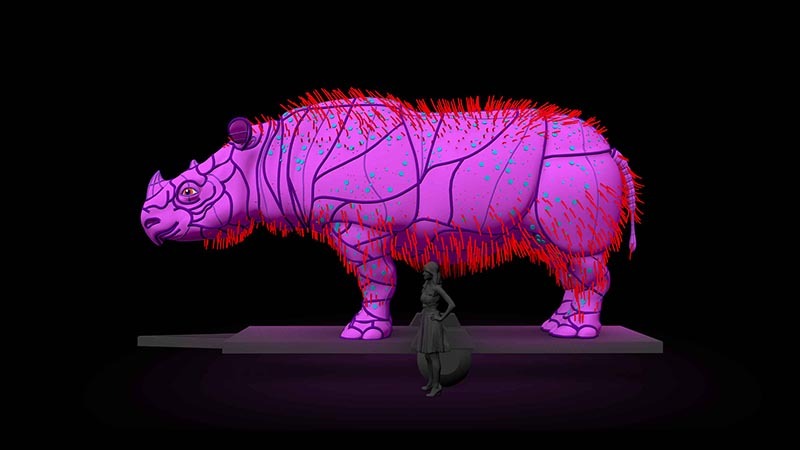 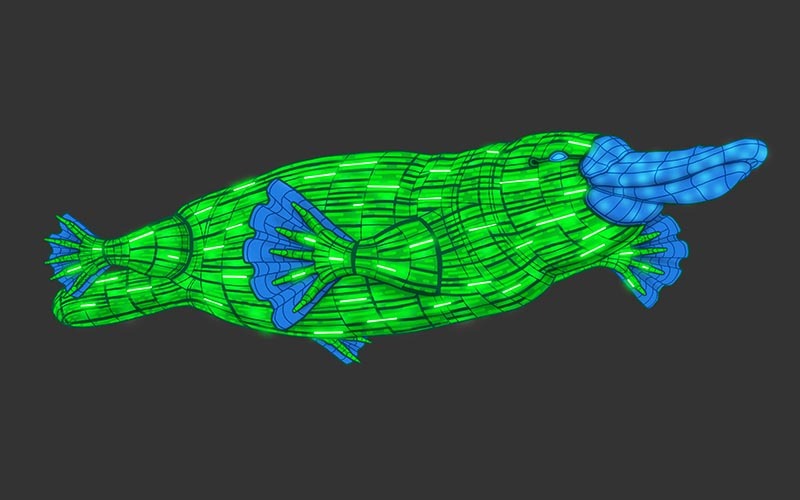 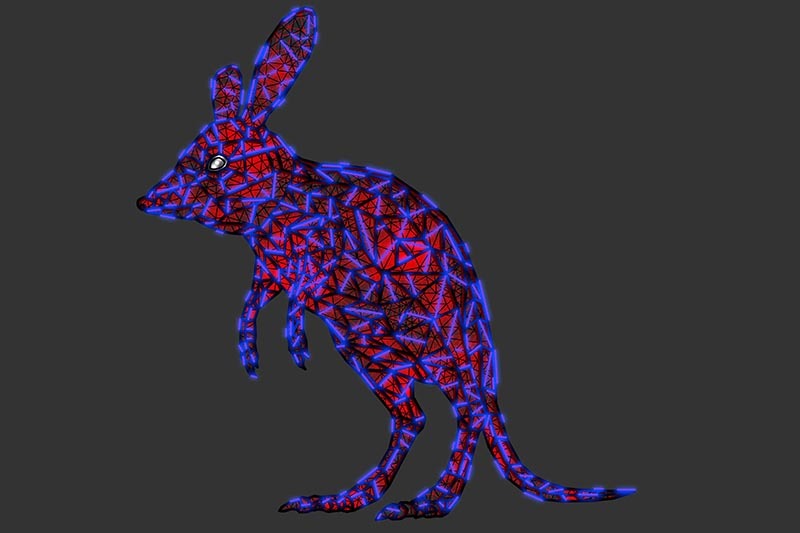 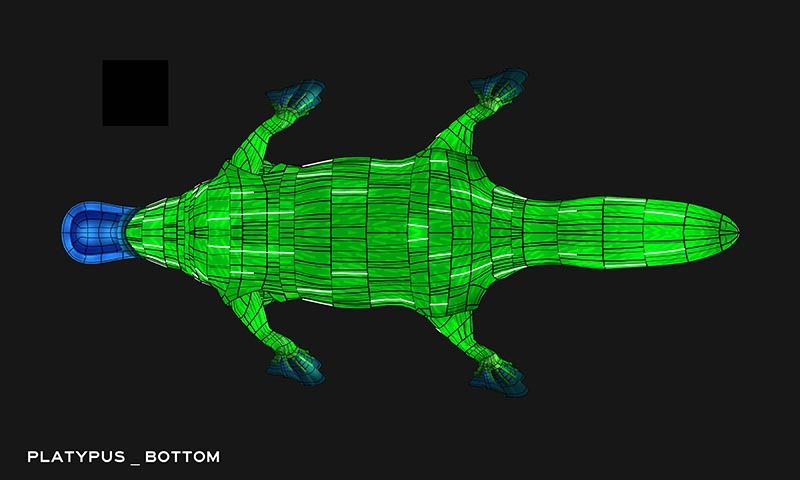 Ample created realistic creature designs, multiple layers of custom programmed LED lighting, moving parts, sound, and in some cases interactivity. 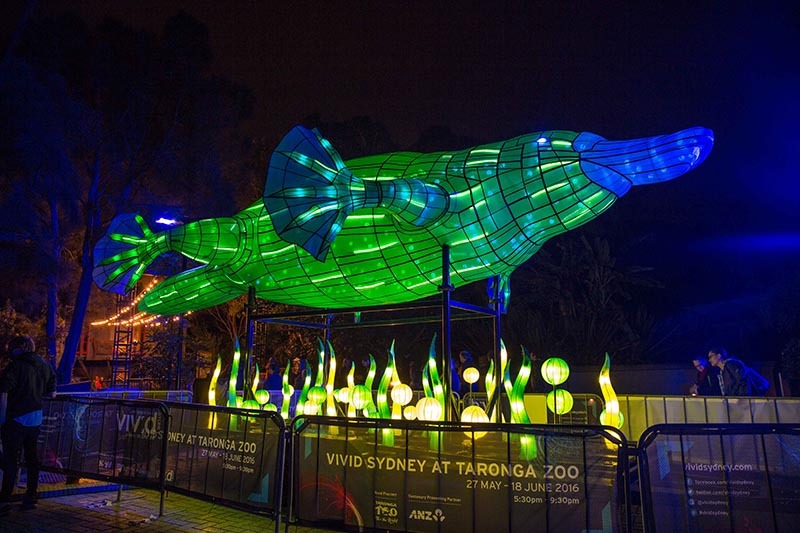 Ample negotiated on Taronga’s behalf a scope which allowed for a high volume of creatures, allowing for a rich and highly detailed light walk. 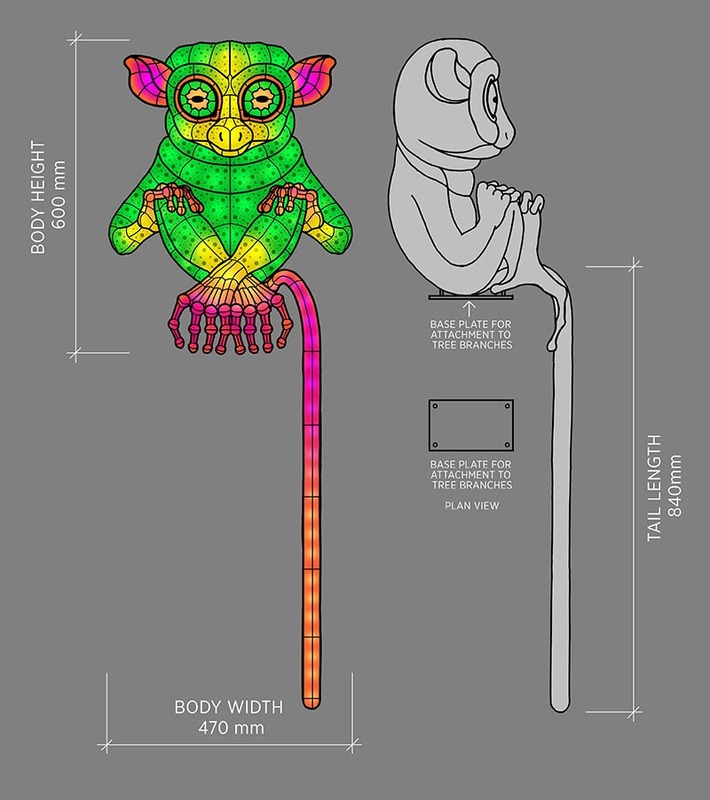 There was always a new creature to discover around the corner, or up a tree. 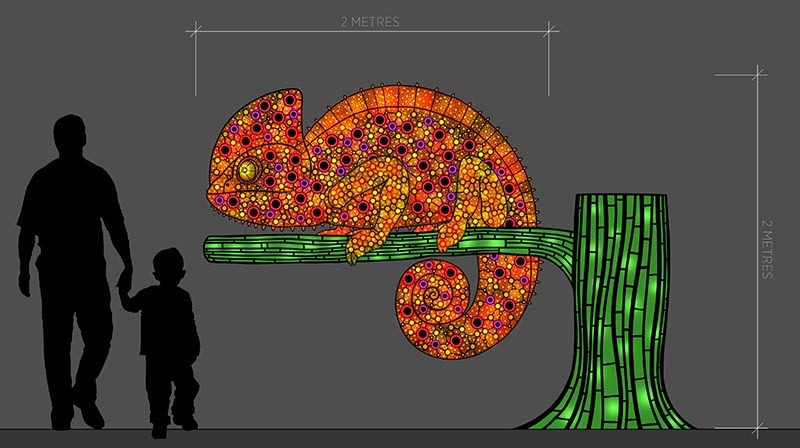 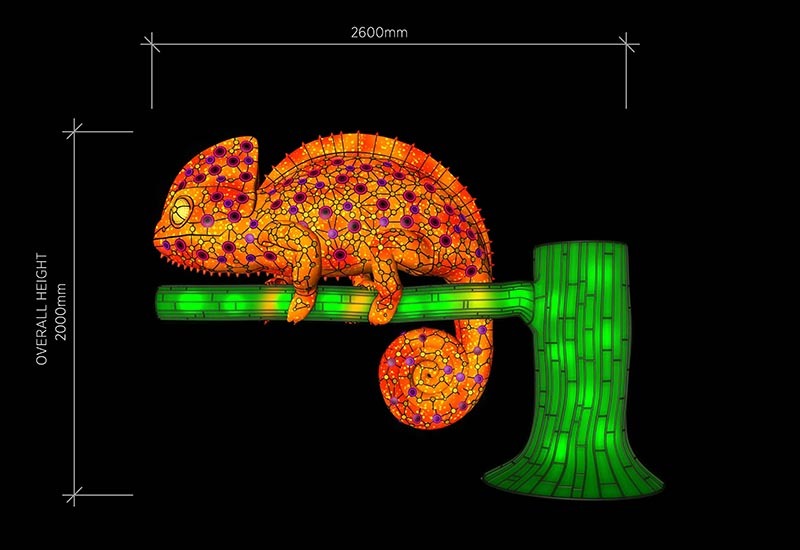 To design and build a light sculpture with light reactive skin to behave as a chameleon would in the wild in response to a light source and an audience selected colour. 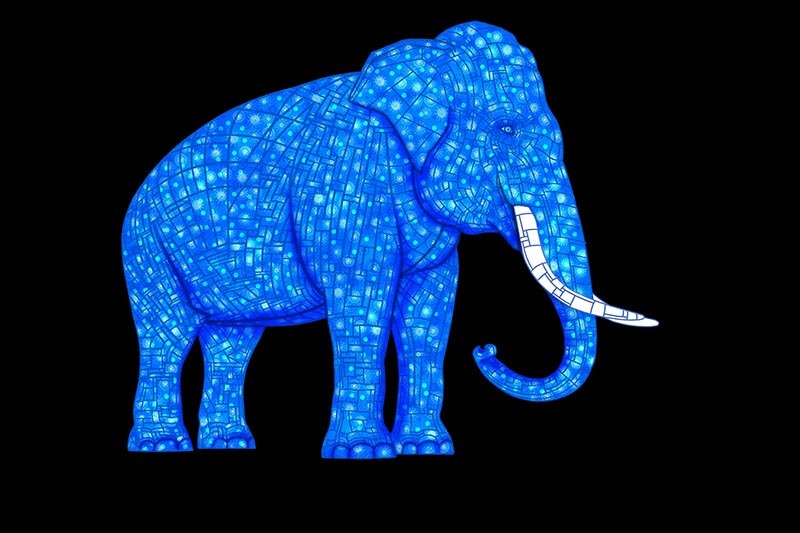 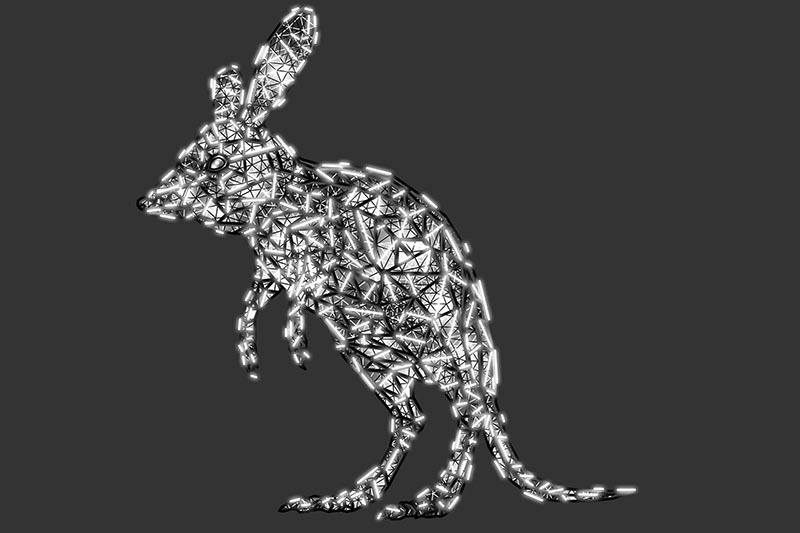 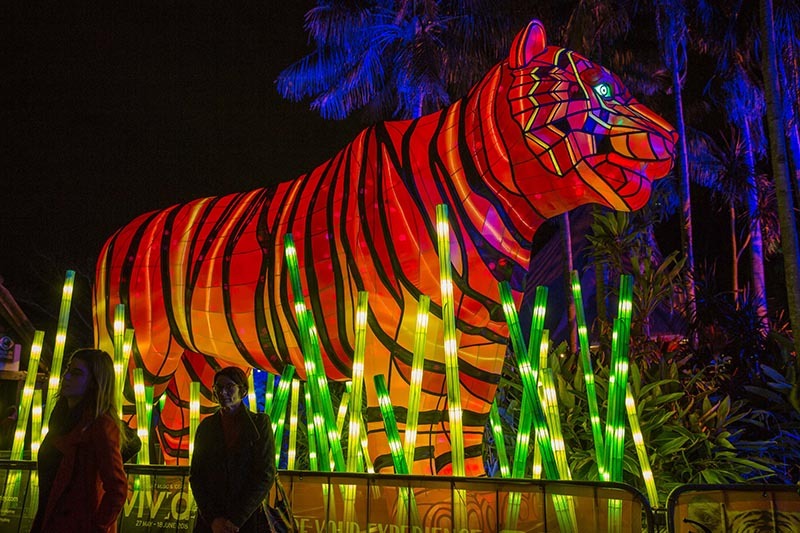 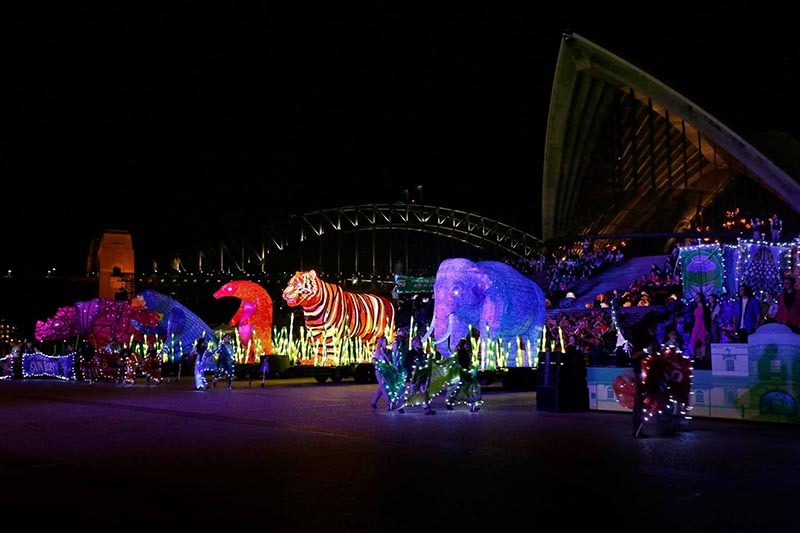 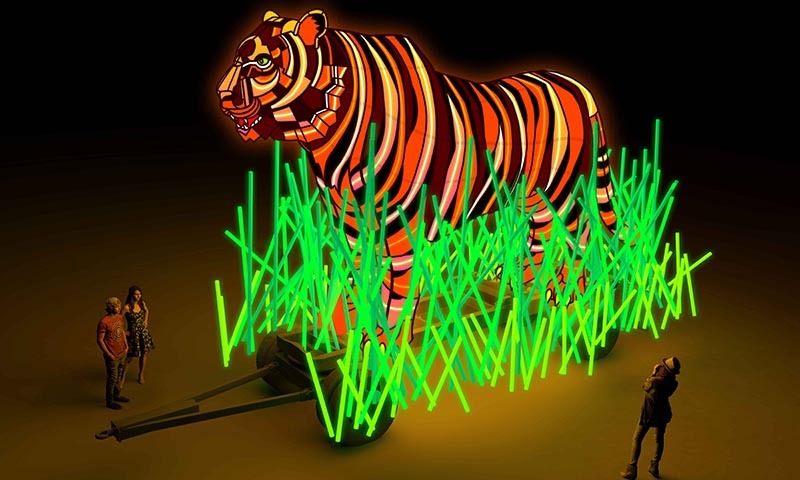 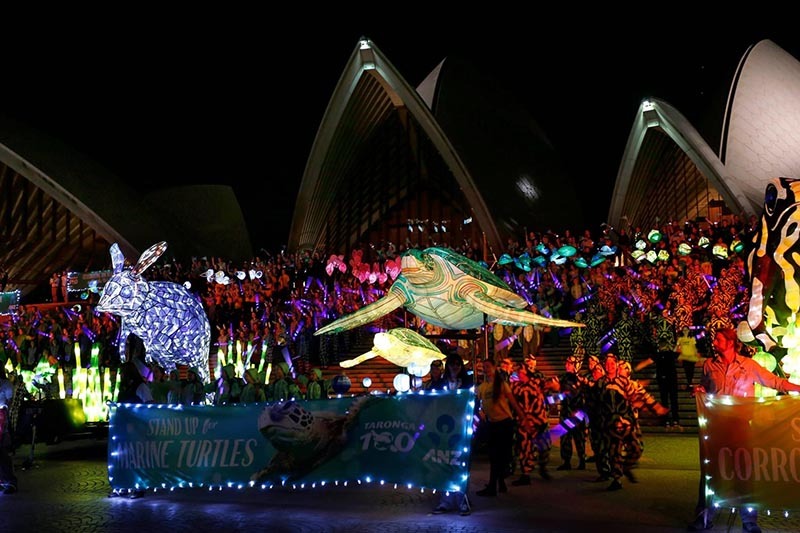 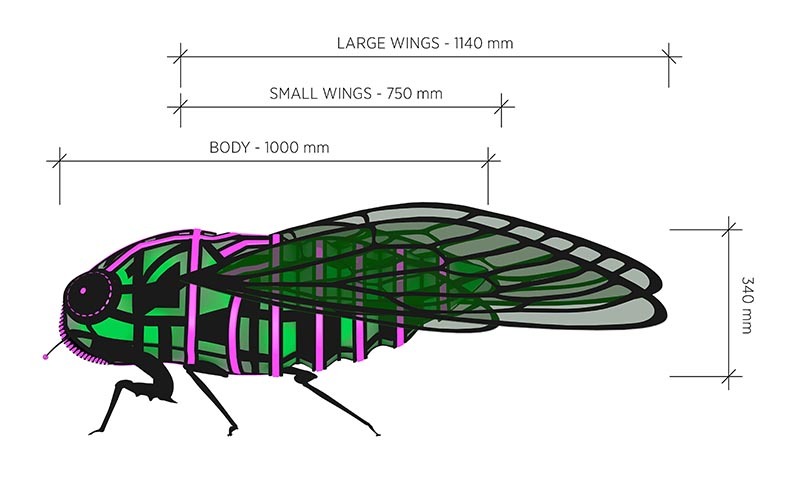 On Saturday 15 October 2016, a parade of 10 giant animal light sculptures will made their way through Sydney CBD marking Taronga Zoo's move from Moore Park to Mosman 100 years before. 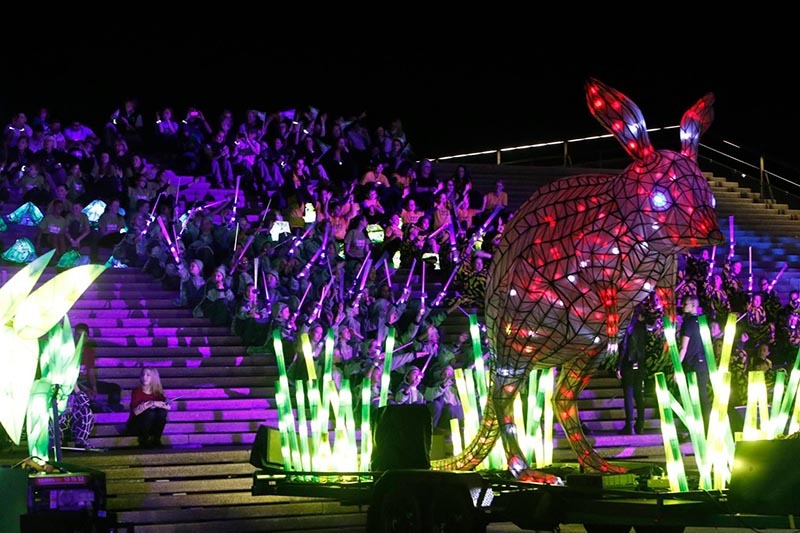 Beginning at Hyde Park, 10 large scale animal light sculptures (designed and built by Ample Projects) were escorted by a cast of singing and dancing school children and staff who retraced the steps of Jessie the elephant and other animals along Macquarie Street to the Sydney Opera House, where a spectacular grand finale dance performance then took place. 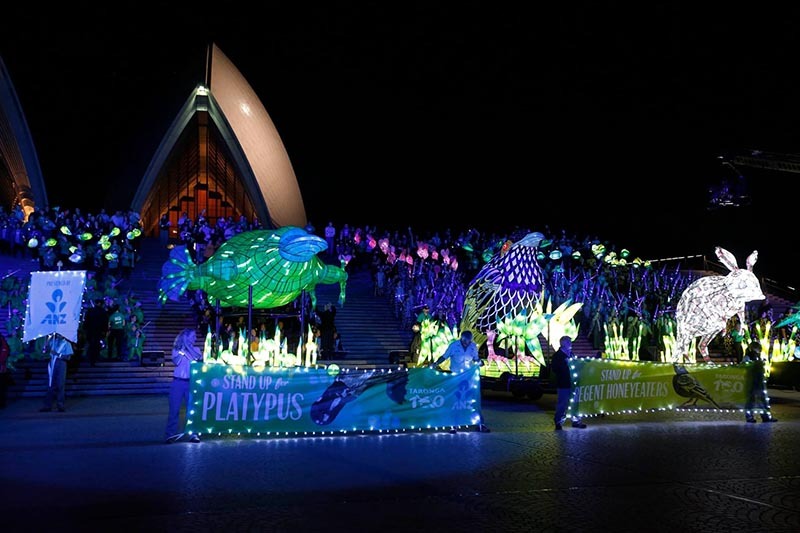 Ample Projects were very proud to deliver the production design for Taronga's Centenary Parade. 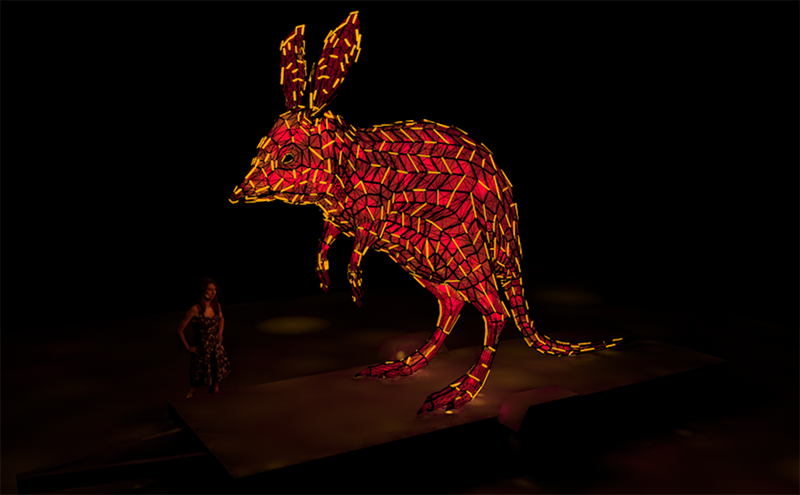 We made 1500 childrens' animal costumes , all sculptural works and stage designs. 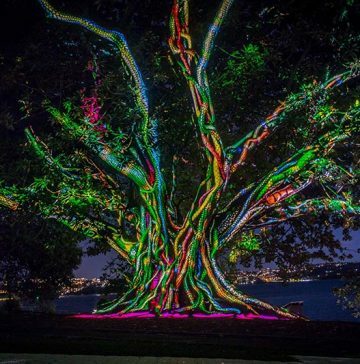 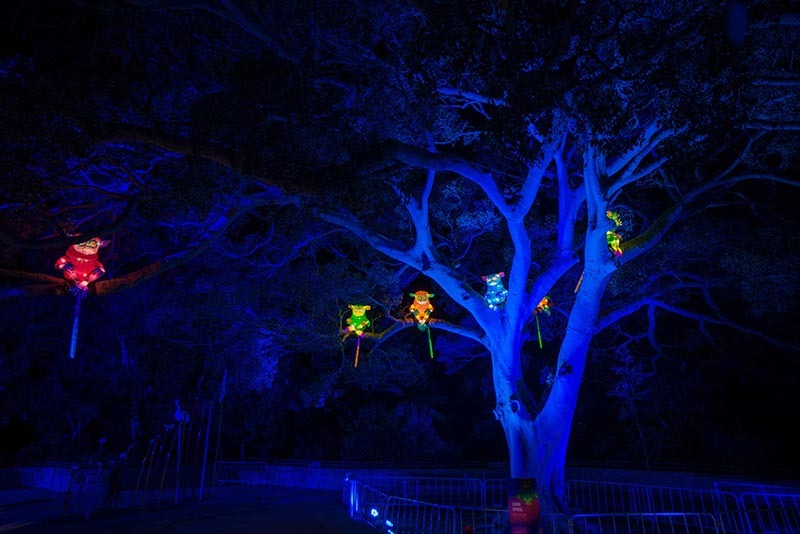 Our objective was to turn the entire precinct into an accessible art installation, focusing on special locations within the park using projection, lighting and sound. 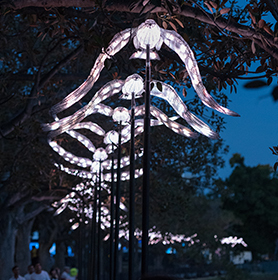 The use of soundscapes with gentle musical treatments that wove in and out of the ambient sound effects tied the entire light walk together, creating a calm evocative, stimulating immersive experience. 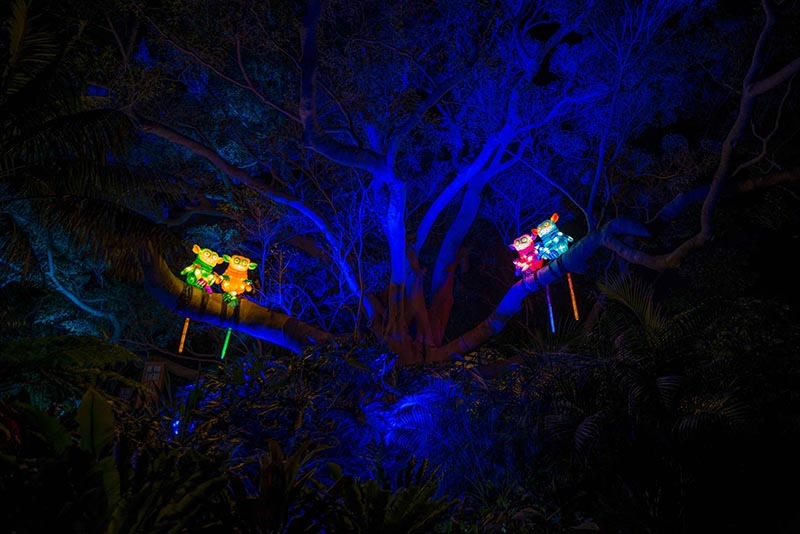 The 10 Legacy Species lanterns were also augmented by a supporting cast of creatures including an echidna, chameleon, crocodile, cicadas and even a funnel-web spider, along with thousands of smaller lanterns, designed by Ample Projects and made by NSW school students as part of Taronga’s Centenary education program. 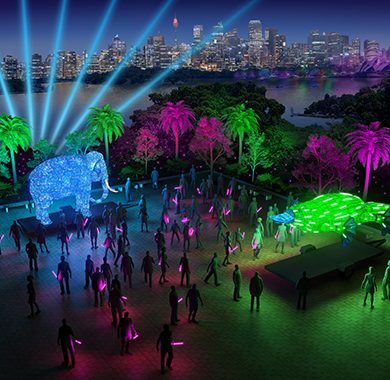 Preliminary precinct project scoping, layout and design was a busy 9 month process for the inaugural year of the Taronga Zoo light walk. 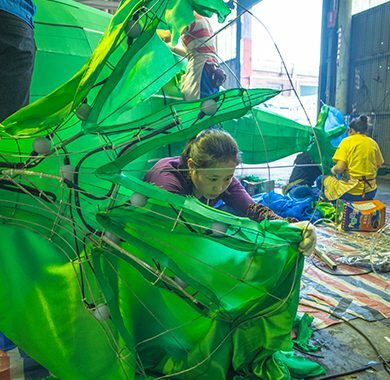 This phase included planning, budgeting, conceptual design for light sculptures and site map. 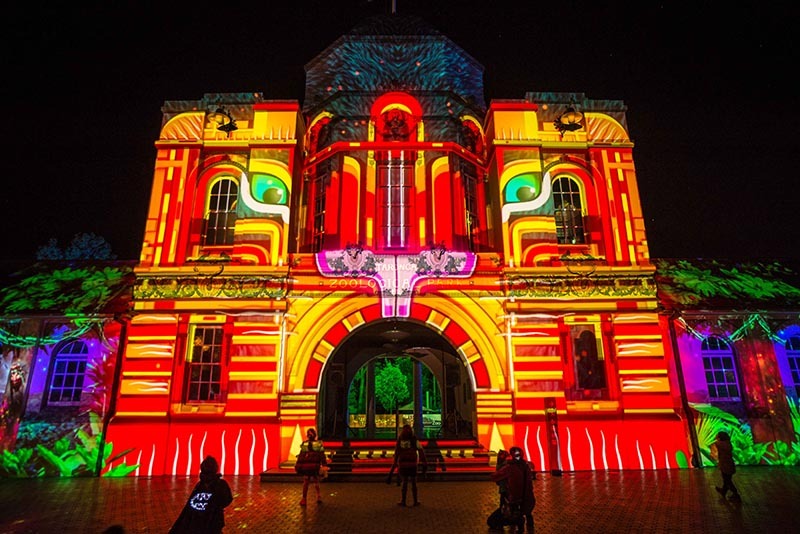 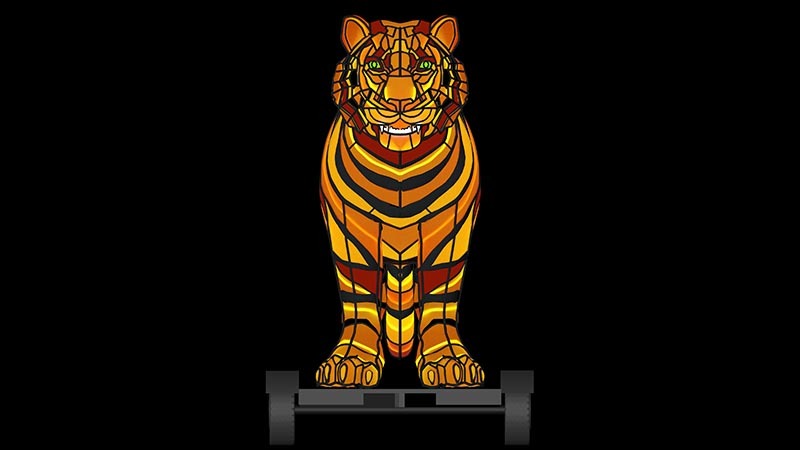 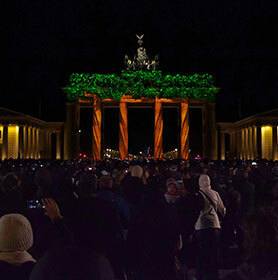 The second phase was spread across a 6 month period, and included 3D scanning, storyboarding and animating the projection show, 3D designing and constructing all light sculptures. 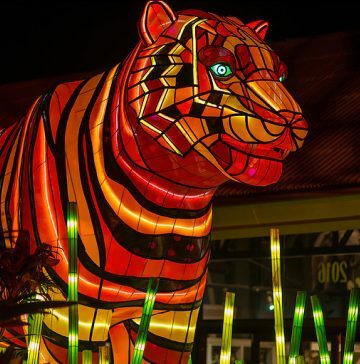 The precinct design evolved during this stage to incorporate a site-wide lighting design and 14 precinct soundscapes developed together with the zoo’s animal keepers to ensure the care and consideration of the animals within the zoo. 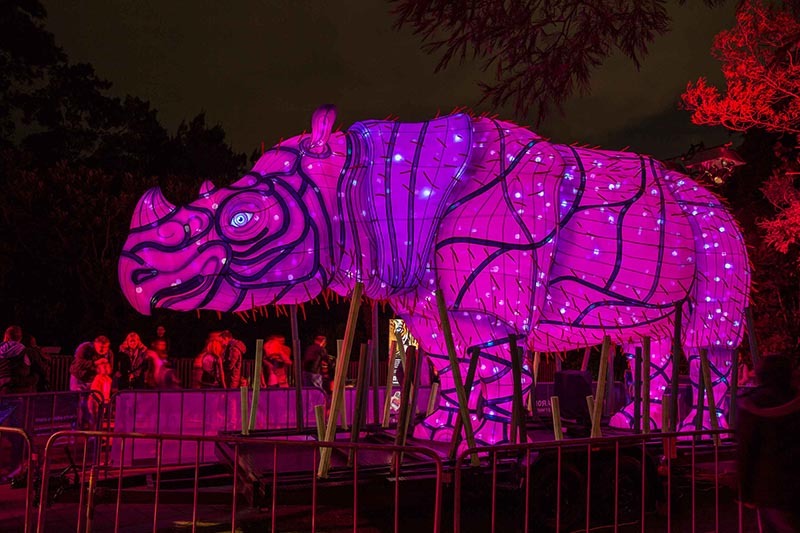 In Taronga Zoo after dark there are many animals awake and interested to see oversized animal sculptures moving into place, 1800 school children’s lantern hung overhead, projection towers installed, lights focussed and programmed and theatrical smoke begin to tumble through the zoo. 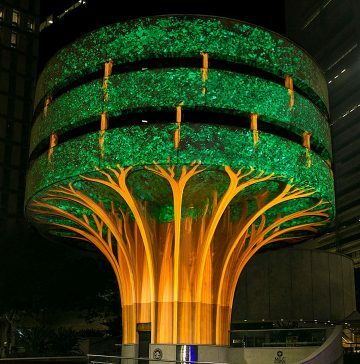 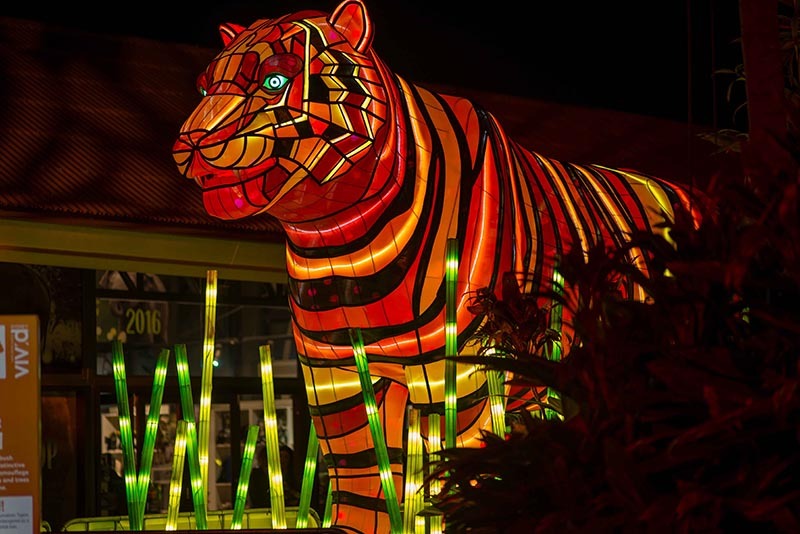 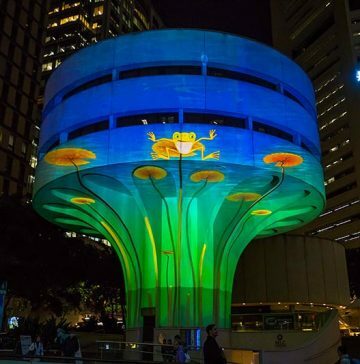 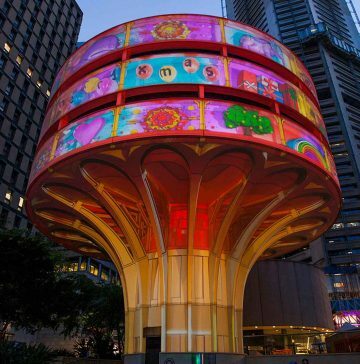 The precinct was installed in a 3 week period in collaboration with Mandylights and Mothership Events, and went on to enjoy sell-out nights giving joy to nearly 100,000 people in celebration of Taronga Zoo’s 100th Birthday.